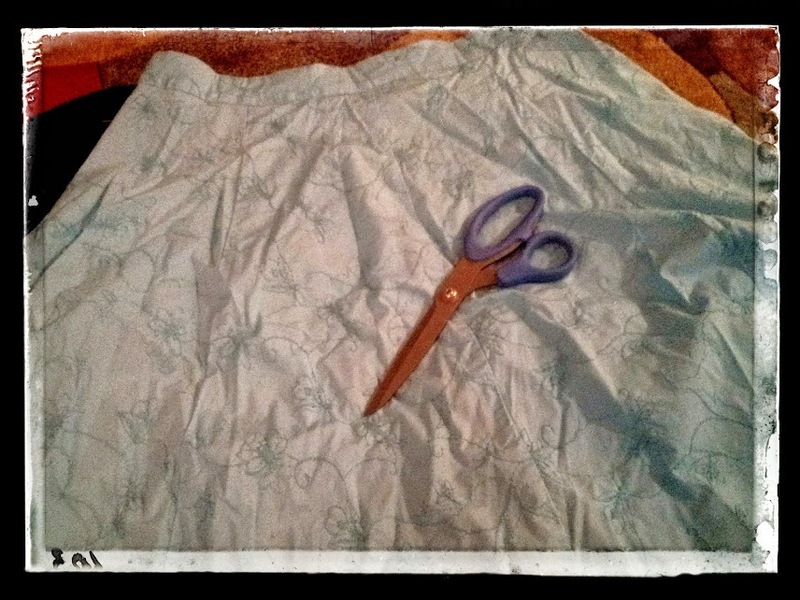 This beautiful blue skirt caught my eye years ago, but I can’t remember if I had time to try it on before buying it. I have a strong suspicion I nabbed the skirt on my way to the register, saw it was in my size, and obviously agreed with the clearance price tag. I think I wore the skirt once or twice before I became too fat for it. I discovered the skirt during the great move and knew I could easily alter it. The color and the simple pattern made me fall in love with the skirt again. I simply removed the zipper, shortened the length a bit, and created an elastic waistband. 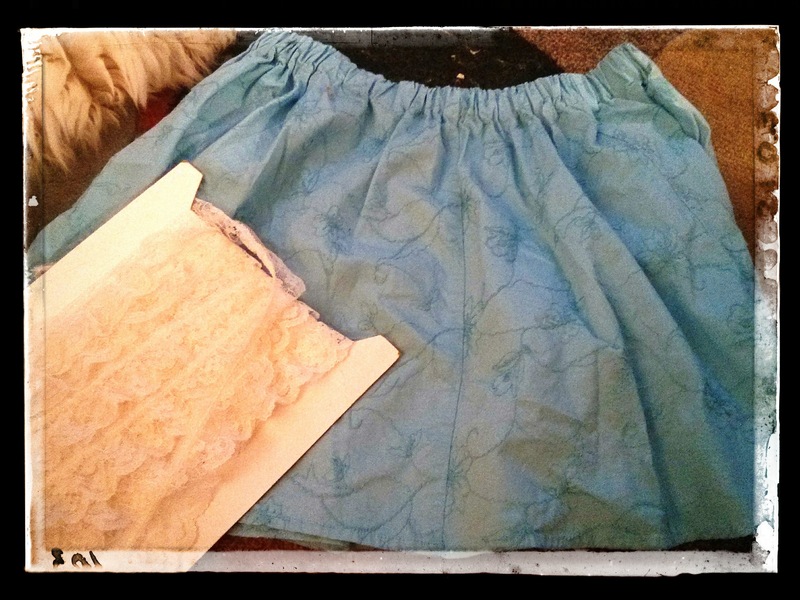 In the near future, I might add a little bit of lace at the hem, but for now, I can wear the pretty blue skirt again! Nice refashion! 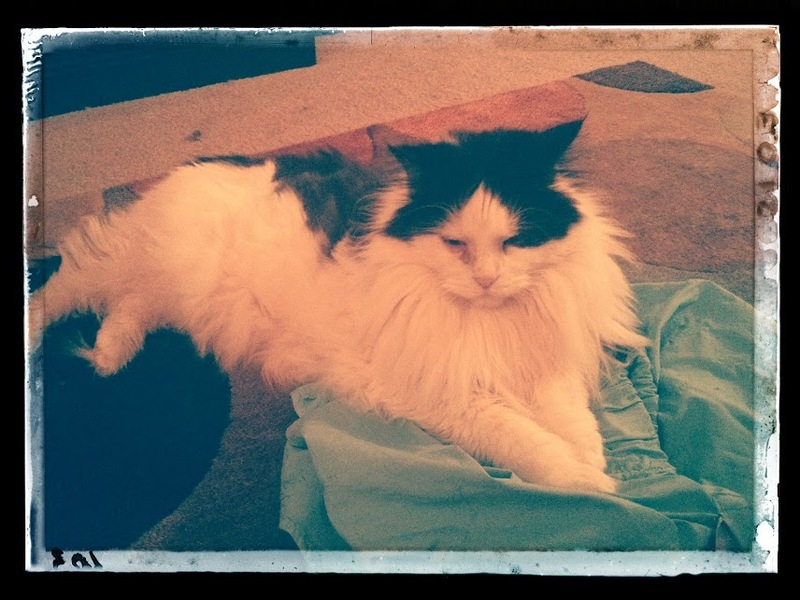 You really should buy a new sewing machine … I know you how much you miss your old one. Cute skirt AND beautiful kitty. You’re so stinkin’ creative and crafty. Hello Kitty!